1. Let teddies lounge in (organized) style in a suspended storage hammock that over 2,000 Amazon reviewers swear by. Promising review: "This is a great storage solution. We use this in the kids' room where we had accumulated an entire corner shelf that was overflowing with stuffed animals. We hung the hammock in a corner and were amazed by how many stuffed animals it holds. We cleaned up the whole pile and there is still room for more. Plus, the kids love looking up at the giant mass of stuffed animal humanity and seeing different faces, characters, etc." —Dave H.
2. Stash toys in collapsible, stackable bins to get the beary most out of your space. 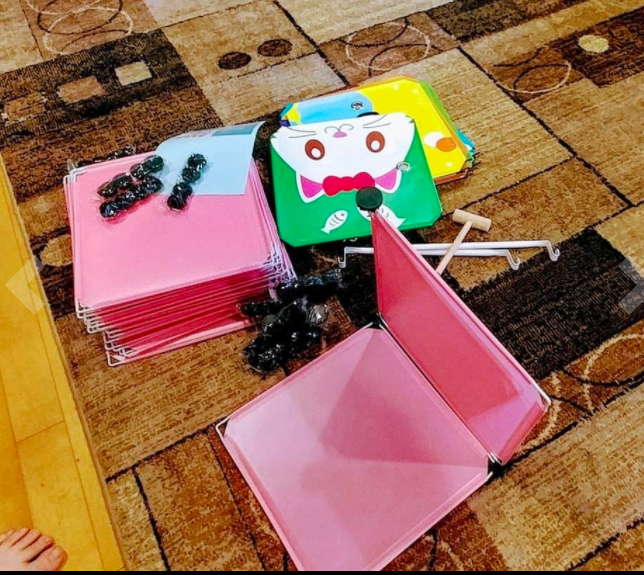 Promising review: "Our 1-year-old has so many toys, so we needed to find a simple solution to keep them tucked away when not in use. 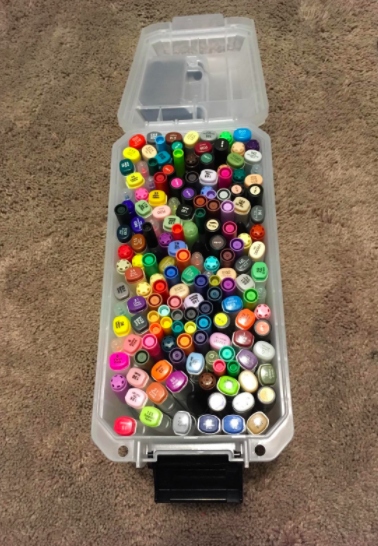 This bin was perfect. We've taught her how to put away her toys, and the bin is soft enough for her to use without us worrying about her hurting herself. We loved her bin so much that we decided to buy another. Unlike baskets, these can be stacked. Now we're even considering getting a couple more for Grandpa's house." — R.G. Get them Amazon for $14.99+ each (available in five colors). 3. 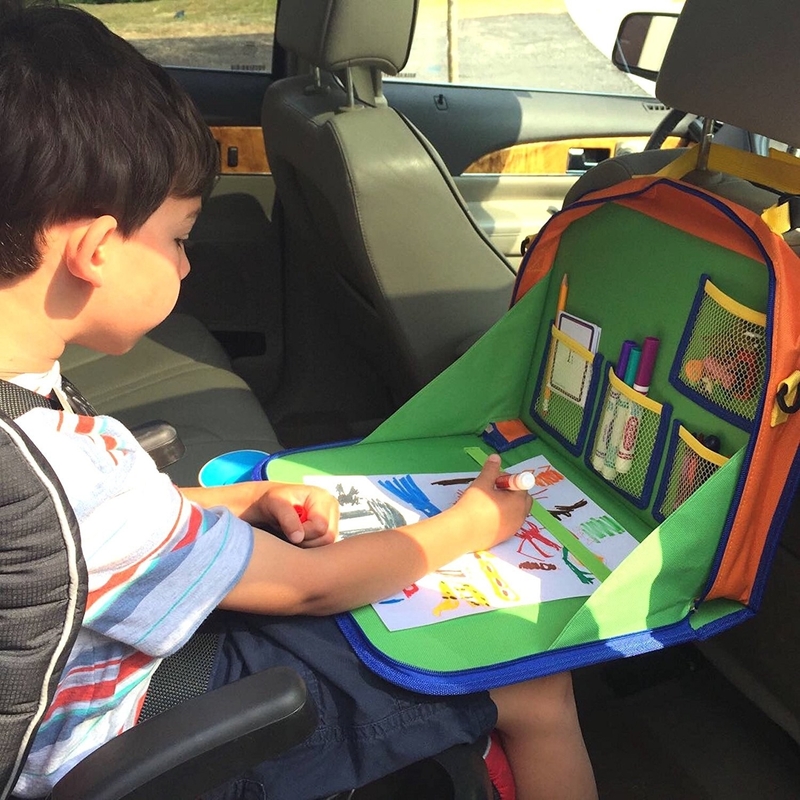 Put an end to messy backseats and road trip boredom with an activity desk and organizer that hooks to the back of a car seat. 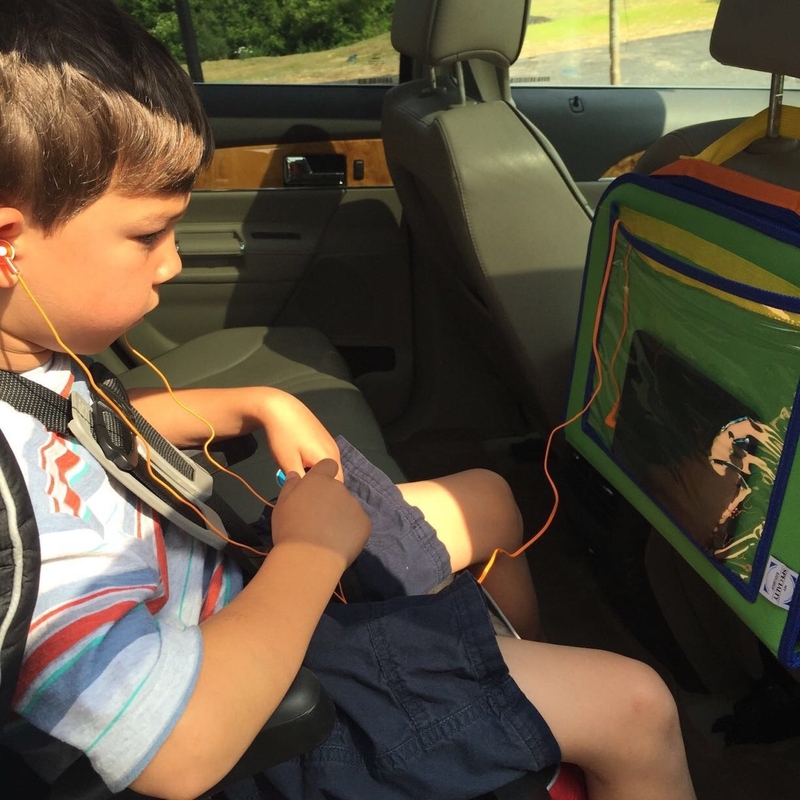 You can also zip it up and slide your tablet in the clear sleeve so kids can watch their favorite shows. It comes with a handy carrying strap, too. 4. Make bathtime lots of good clean fun with a bath toy organizer you can stick on the wall. Get it from Amazon for $9.98+ (available in two sizes and pre-stocked with toys or by itself). 5. Or opt for a bathtub caddy that presents little ones with all their options in one handy place. This one has over 1,000 positive Amazon reviews. 6. Get stuffed animals to serve double duty by filling a storage beanbag with your kid's cuddly pals. Get it from Amazon for $29.97 (available in three colors). 7. Hook a hanging organizer to your changing table so you have everything at hand when things get messy. Get it from Amazon for $24.92 (available in two colors). 8. Or keep a handle on all the essentials with a portable and collapsible diaper caddy, so you're ready to make a change anytime, anywhere. 9. Store everything from toys to craft supplies to bathroom essentials in a versatile rolling organizer that works in every room in your home. Get it from Amazon for $49.33+ (available in seven sizes and four colors). 10. Maximize space with a roomy over-the-door caddy that's truly a-door-able. This one has over 1,000 positive reviews on Amazon. 11. Keep ever-necessary cotton balls inside this long-eared friend who'll treasure the hopportunity to brighten your kiddo's bathroom and is much more stylish than a plastic bag. 12. Employ a bacteria-battling elephant who will make sure they never forget to brush their teeth and who doubles as a trusty wall hook. It can stand on your countertop or mount to the wall with its strong suction cups. Plus, there are draining holes at the bottom so it won't get all germy and gross after being filled with wet toothbrushes. 13. 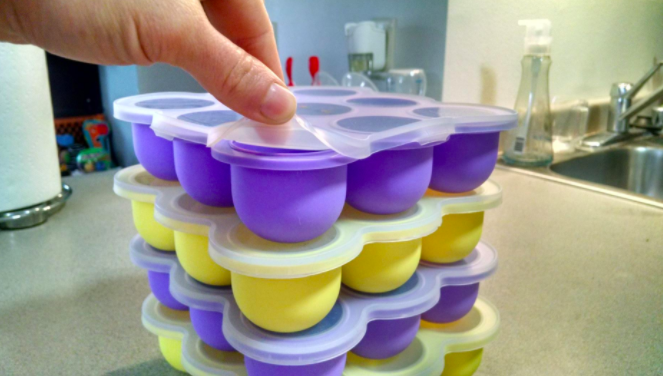 Never waste time searching for lids with a set of containers with tops that snap together or right onto the bottom of the tub when not in use. While these make ideal snack containers, they'd also work for stashing little trinkets like buttons, beads, or other craft supplies. Get a 42-piece set from Amazon for $29.77, or a 60-piece set from Amazon for $27.02. 14. 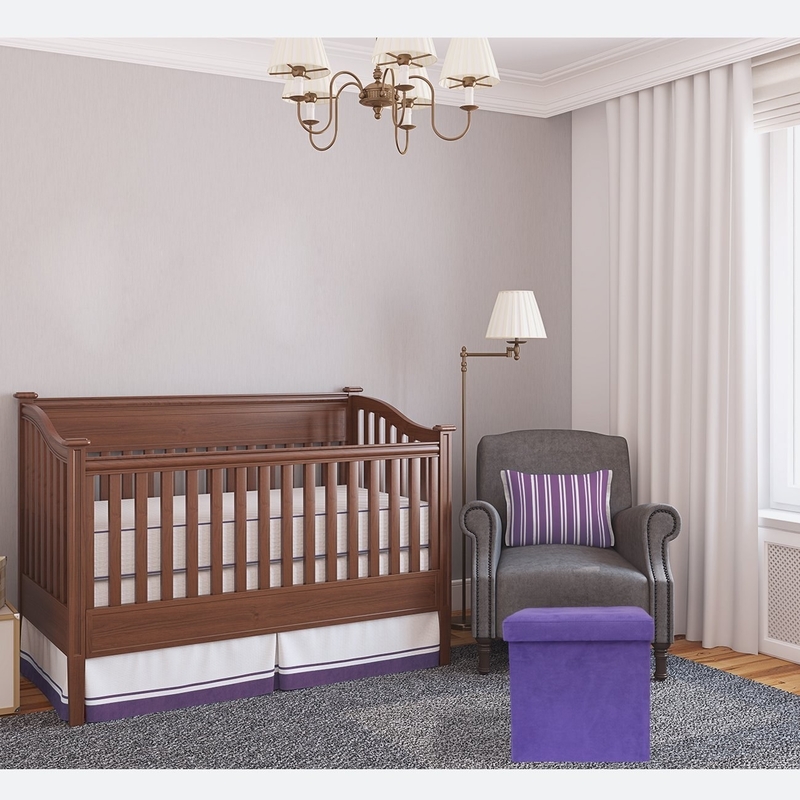 Raise burgeoning bookworms and keep their fave reads close by with an adorable reading nook bookcase. Get it from Amazon for $103.99. 15. 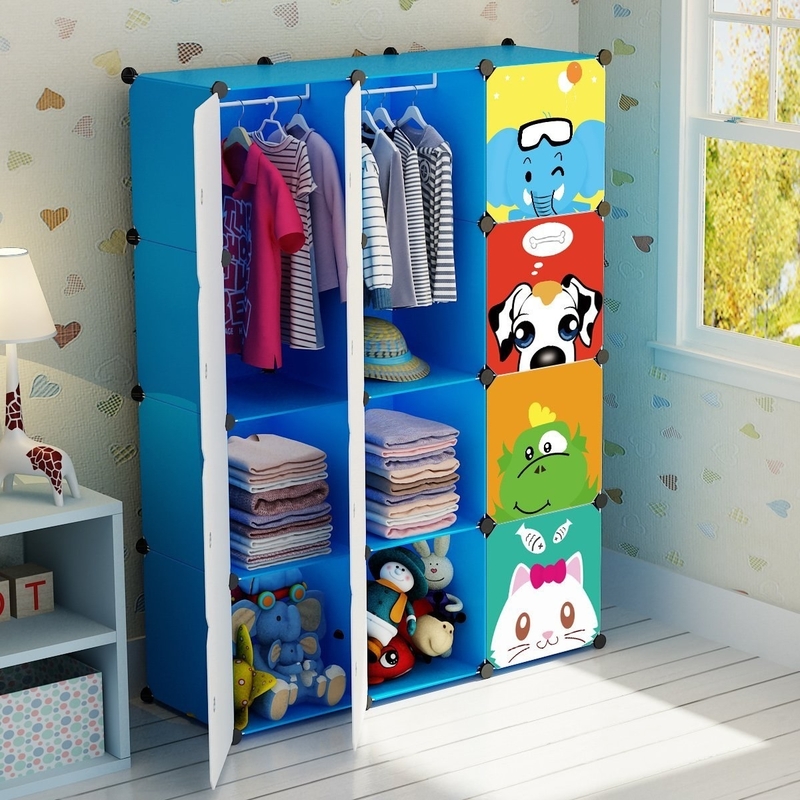 Hang up their wee wardrobe in a cute and customizable closet featuring friendly faces. You can assemble the 53 square panels, 40 connectors, and two rods to form cubbies in any shape or size you want. Assembled like a classic wardrobe, it's 44" wide and 53" tall. Get it from Amazon for $62.99 (available in two colors). Get the matching bookcase here. 16. Stack puzzles on a special storage rack, the missing piece your play space needs. 17. 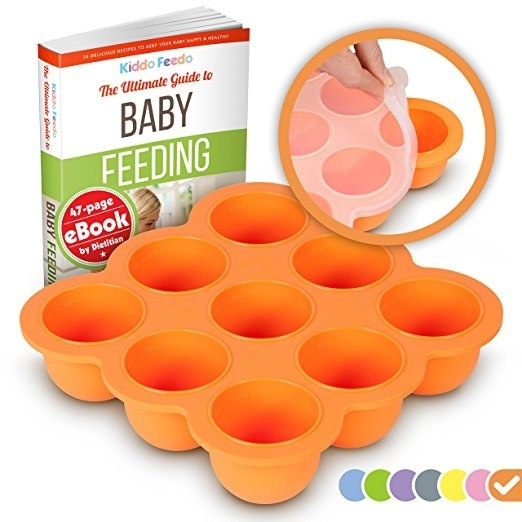 Store homemade or leftover baby food in a mess-free freezer tray loved by over 1,000 Amazon users. The set includes a nine-space tray, a lid, and a recipe book. 18. 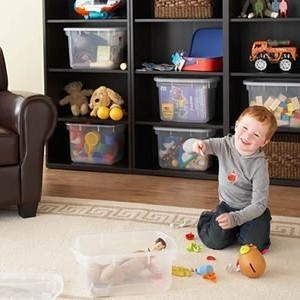 Decrease clean up time with a little help from your playroom's new best friend, a toy shelf with removable bins. Get it from Amazon for $48.88+ (available in six colors). 19. Never step on a stray Lego again thanks to the Swoop Bag, which doubles as a play space and allows kids to clean up tiny toys in one fell swoop. 20. Opt for a cute hamper so they'll actually remember to put their dirty clothes away. This closes up at the top so there's no chance of spilling dirty laundry all over the stairs, and it's collapsible, too. 21. Make a mobile library out of their most beloved books with a whimsical rolling bookshelf. There's extra shelf space on the back! Promising review: "It takes a bit of work to assemble, but the bookshelf itself is very cute and high quality. My daughter loves that she can push it around. I'm ordering another one and I expect to use them for a long time." —YUNTING C.
22. 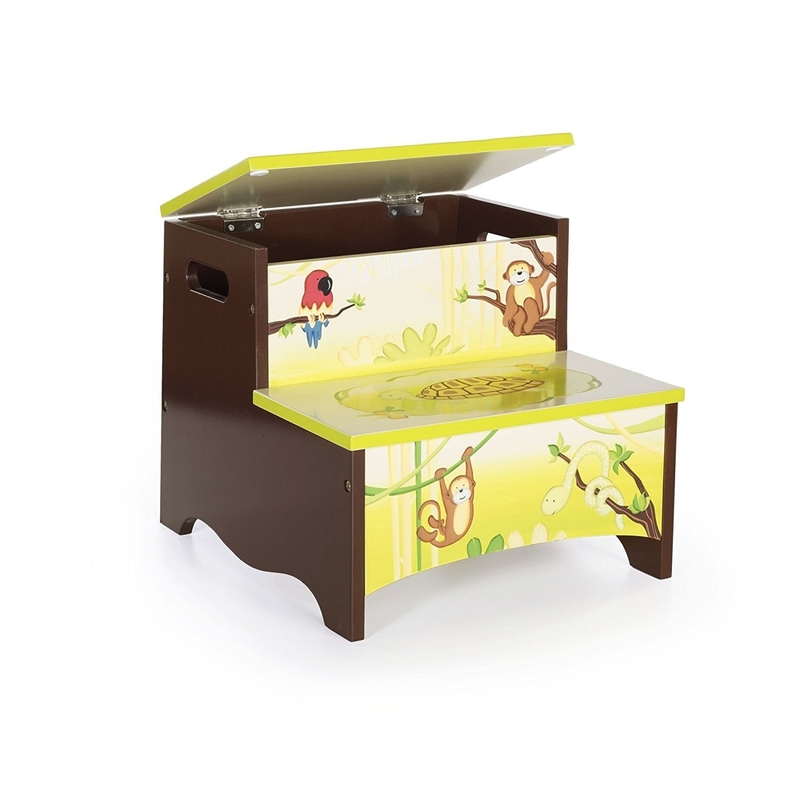 Invest in a 3-in-1 play table with built-in storage that's as practical as it is fun. 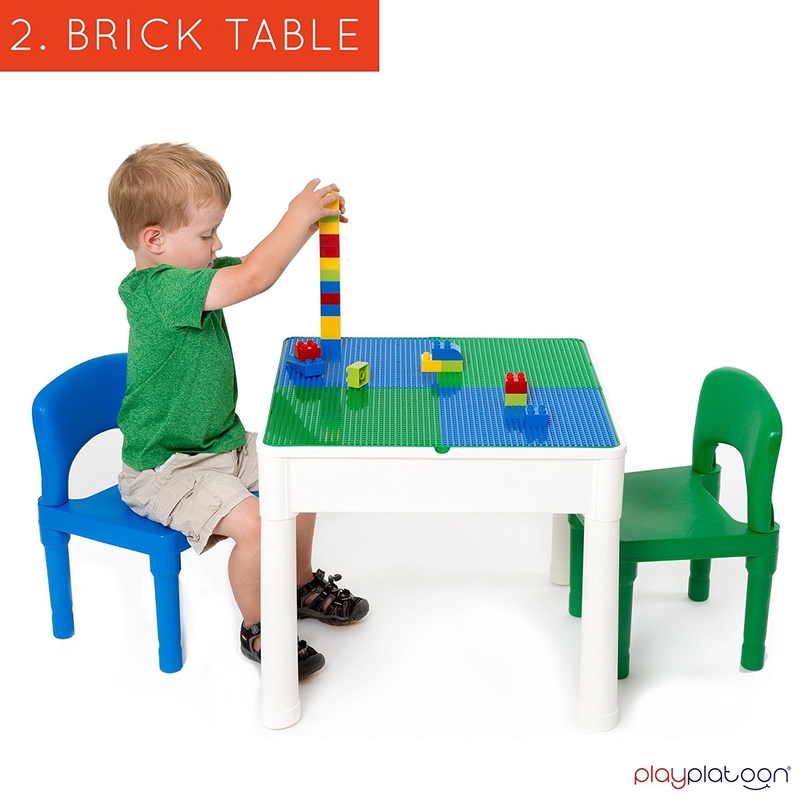 It includes two chairs, 25 building bricks, and a removable, Lego-compatible building table top. 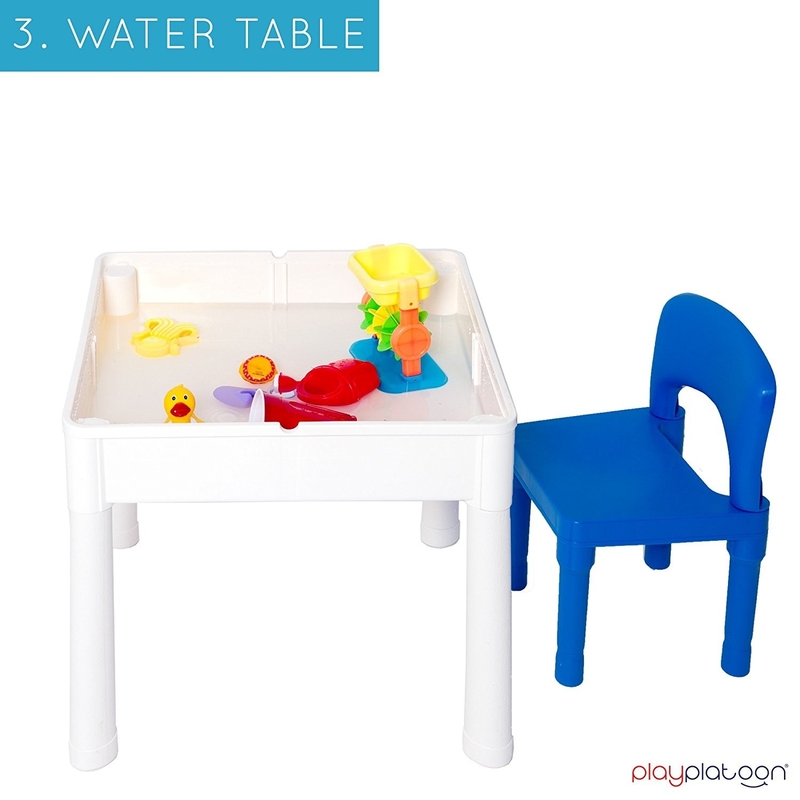 Remove the lid, and there's a storage compartment that can also be used for water play. Talk about having it all. Get it from Amazon for $49.99+ (available in four colors). 23. 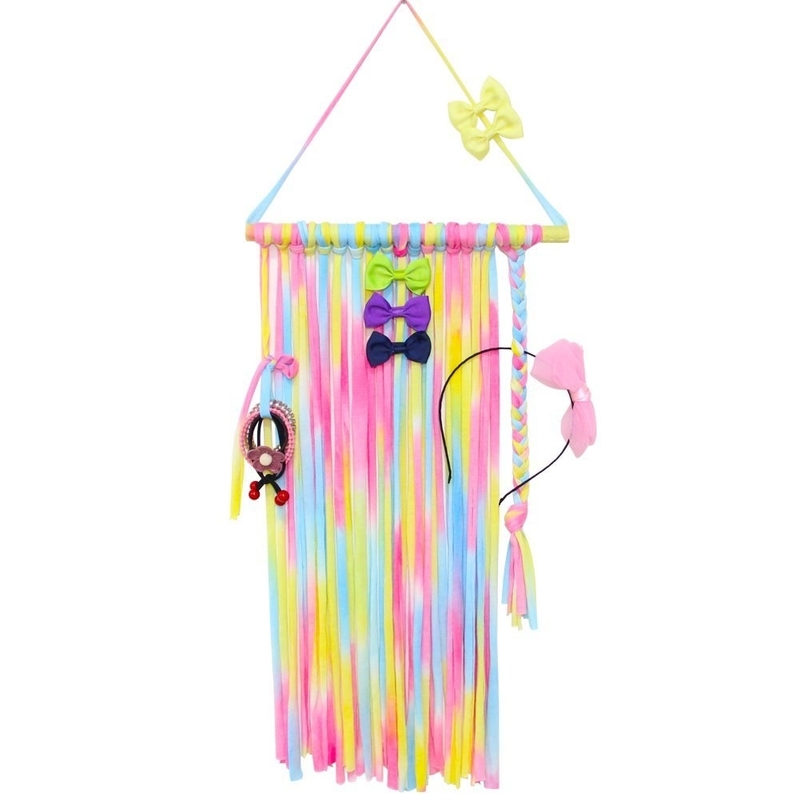 Display and organize headbands and clips with a quirky hair accessory holder every future fashionista will love. The multi-strand organizer has lots of strips that you or your kiddo can braid, tie, or twist to hold different kinds of accessories. 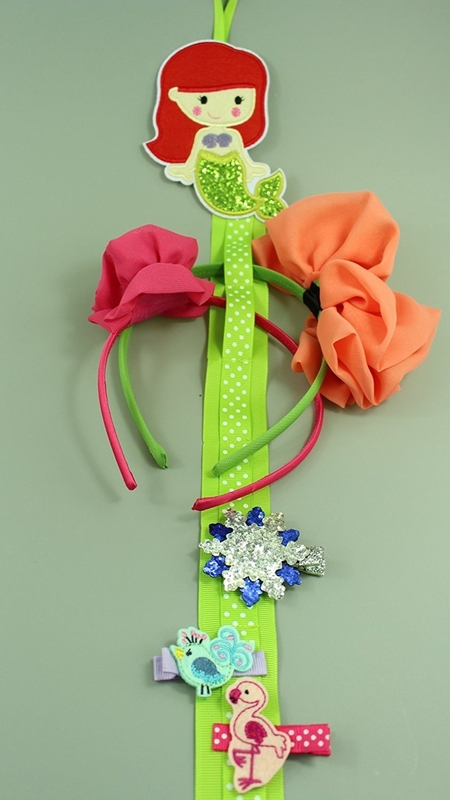 Meanwhile, the mermaid's single ribbon works equally well for headbands and clips. Unfortunately, it can't hold dinglehoppers. Get the multi-strand holder for $7.99+ (available in eight colors) and the mermaid for $7.99, both from Amazon. 24. 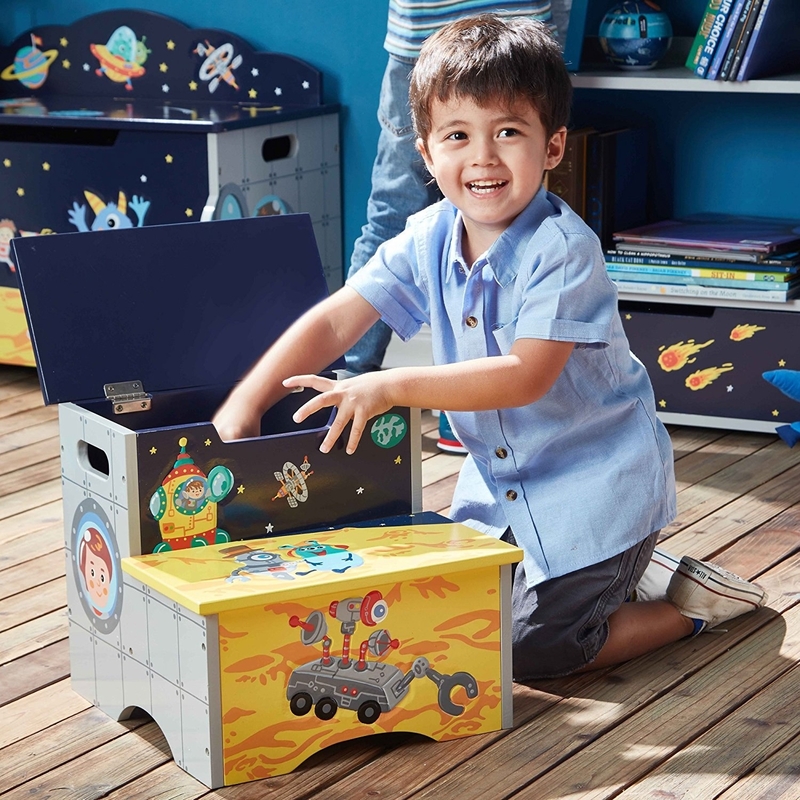 Solve all your storage struggles at once with a catch-all unit that's a toy box and bookshelf rolled into one. Get it from Amazon for $109.85+ (available in two colors). 25. Step up your game with a step stool that can double as a box, because you'll take storage space anywhere you can get it. Get the outer space print for $48.74 (available in four designs) and the monkeys for $29.95 (available in three designs), both from Amazon. 26. Create your own crafting station with a clever art tray featuring removable cups for organizing all your must-haves. 27. 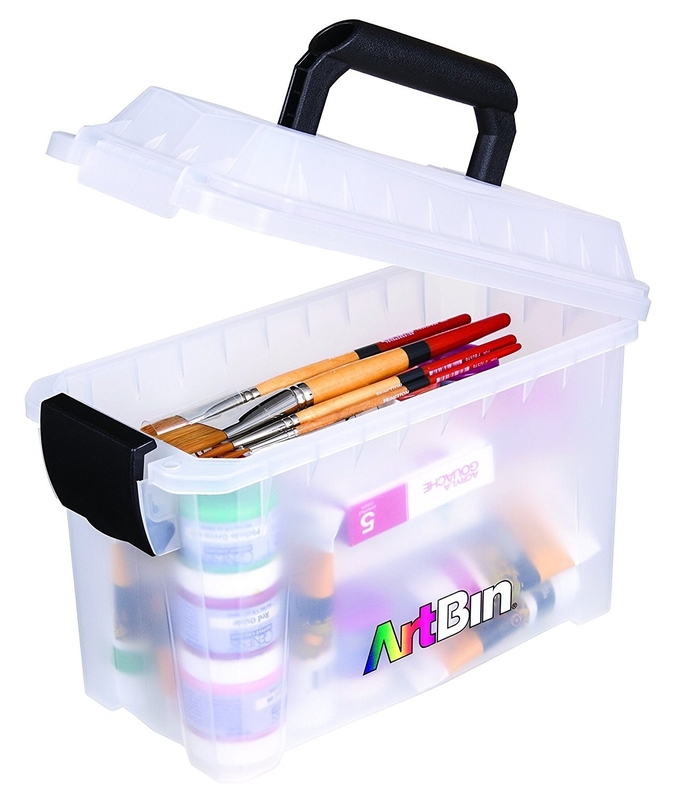 Nab a convenient plastic carrying case so your aspiring Michelangelo can fit all their tools of the trade in one place. Get it from Amazon for $9.41+ (available in three sizes). 28. Let your mini-me store their treasures in a trove of their own design with a glamorous DIY jewelry box kit. 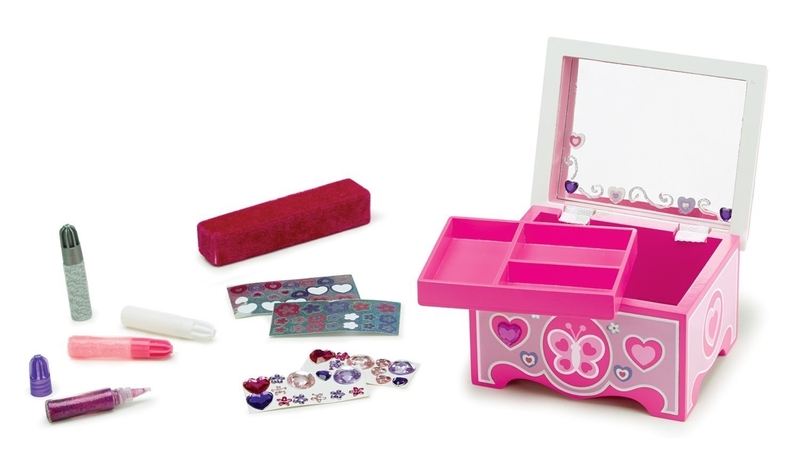 The kit includes glitter glue, white glue, 2-D and 3-D stickers, and a pink wooden box featuring a velvet ring holder and built-in mirror fit for a queen. 29. 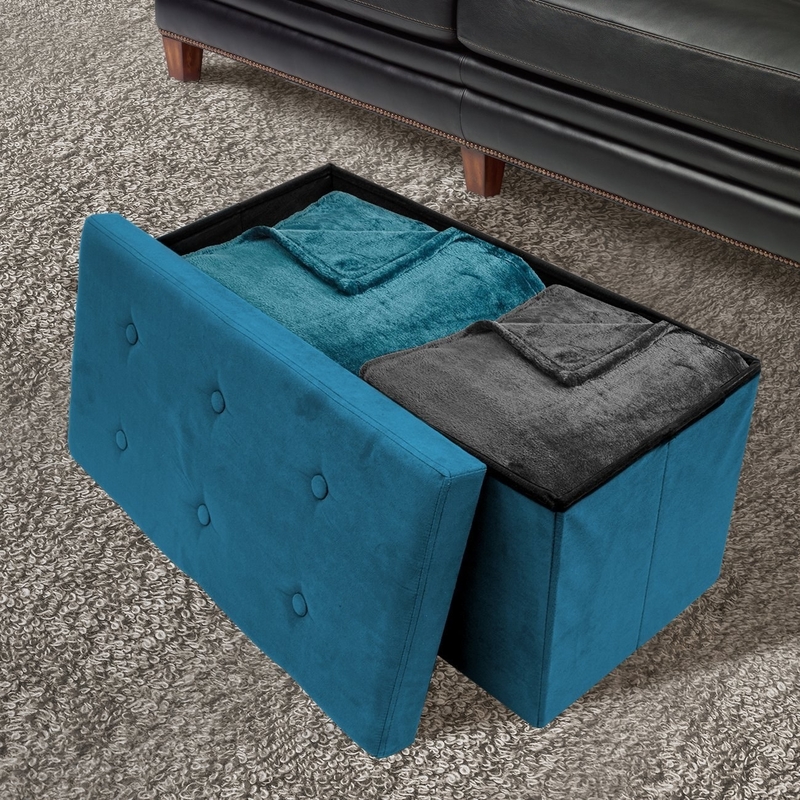 Furnish a bedroom or playroom with a collapsible storage ottoman that can serve multiple purposes. Get it from Amazon for $23.99+ (available in three sizes and seven colors). 30. Be a hero and get your tot a fire truck toy box that'll encourage them to tidy up with its siren song. Get it from Target for $127.49. 31. 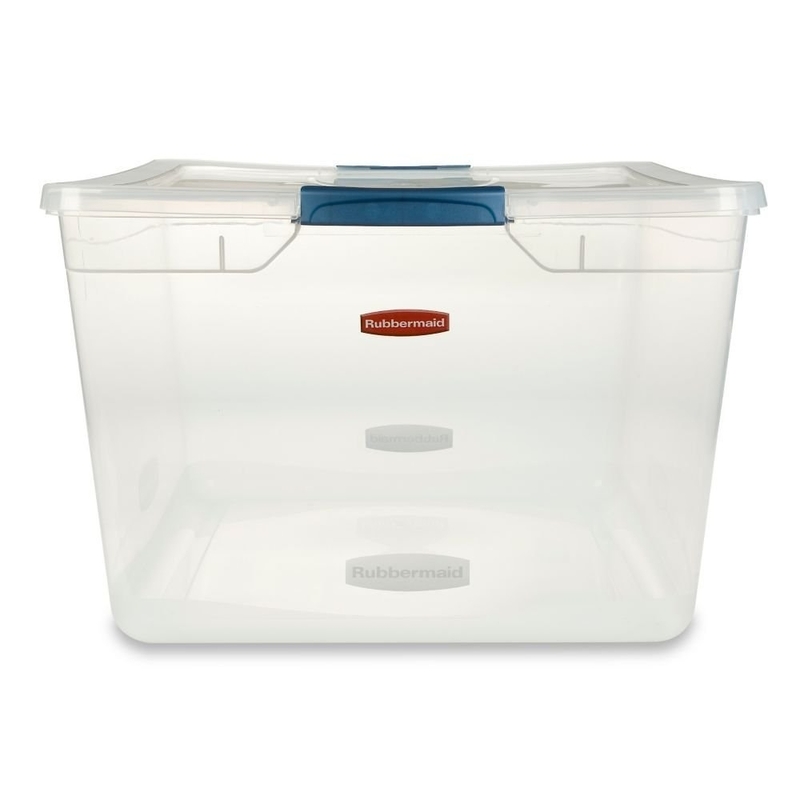 Stock up on some classic big plastic bins for the day you need to stash things they've outgrown that they (or you) refuse to part with. They grow up so fast. Honestly, these provide such all-purpose storage that every kid should just come with a couple. Get one for $37.46 or a set of four similar ones for $62.82, both from Amazon.